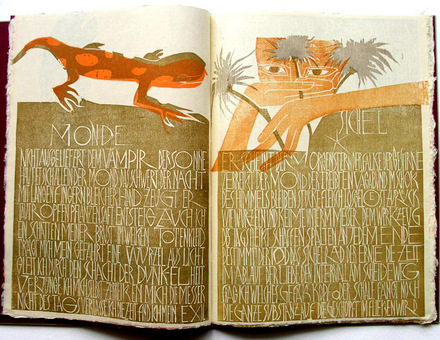 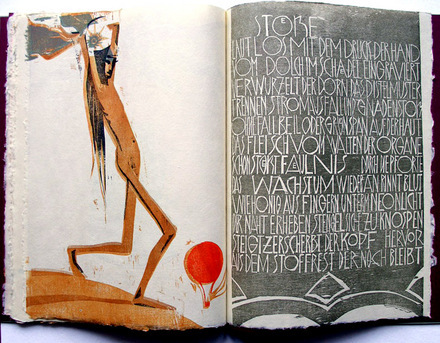 In the classic tradition of xylographic printing, both image and text in Erde und Feuer are produced from woodcuts designed by the Leipzig artist Frank Eissner (born 1959) and printed on Bunko Shi paper. 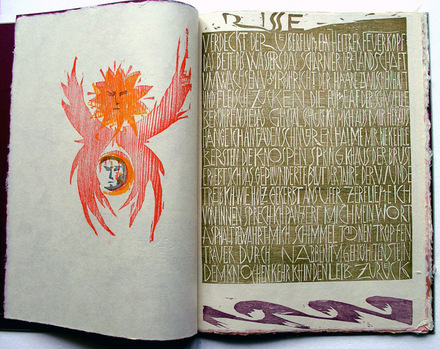 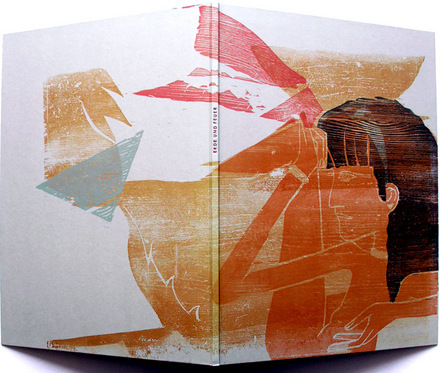 Originally trained in lithography, Eissner now specializes in relief printing, operating Eissner Handpresse since 1989, where he publishes limited edition artists’ books. 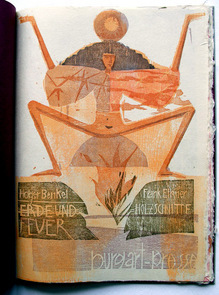 For this volume, he collaborated with his colleague publisher Jens Henkel and “Blank Generation” poet Holger Benkel.